Tamil Nadu Directorate of Government Examination is going to publish SSLC public exam result on 29th April 2019. Students can check your 10th samacheer kalvi results March 2019 online at official website. 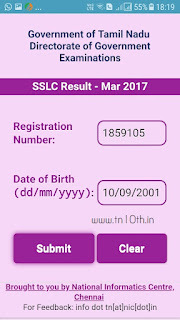 The TNDGE also release new smartphone application called “TN SSLC Result” to check exam results easily. 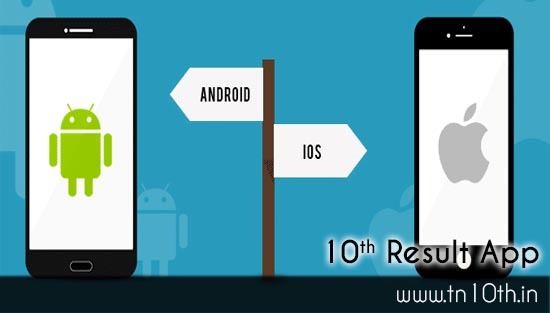 This Tamilnadu 10th result app is now available for both android and iOS mobile platform. 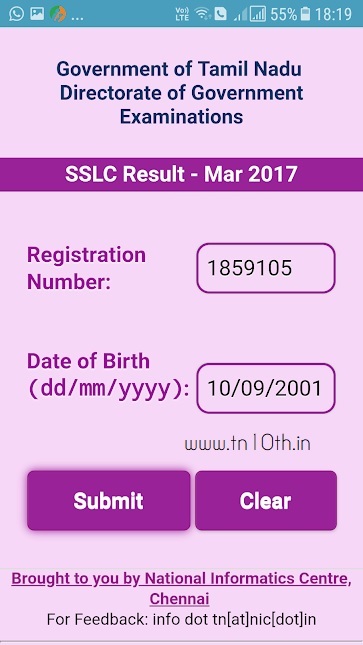 Download link and APK file for TN SSLC Result app is given below. Tamilnadu state board exam result will be sent through SMS within two minutes by officials to register mobiles. To simplify the process of checking class 10th public exam results, state government of Tamilnadu has launched sslc result app on android play store and apple itune app store. Download links to install official 10th result app are provided separately for android and apple ios phones. 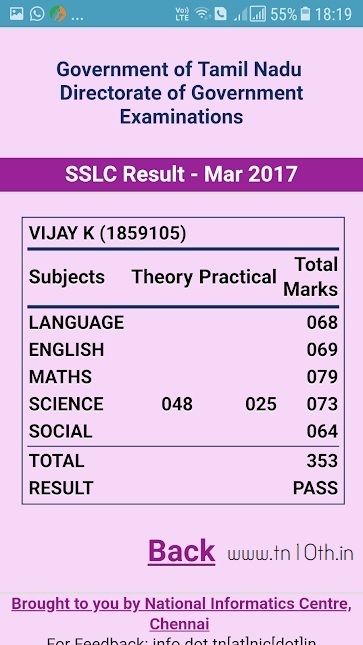 Those who have android mobile, go to play store and search for “TN SSLC Result”. There are so many unofficial android apps are available. But the official Tamilandu 10th result app is only published by NIC eGov Mobile Apps publisher. Apple phone user need to search on app store to install. 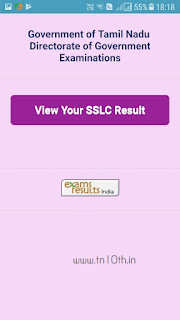 If you cannot able find official android app for sslc results, don’t worry. 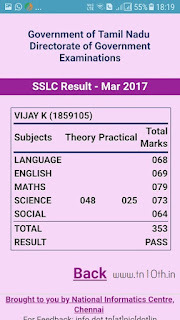 We provide the original TN SSLC Result APK file. You just download this apk for tamil nadu 10th result app and directly install on your android device easily. To install this SSLC Result APK, you just need to enable unknown source installation in settings and after you installed successfully you can disable this settings. It is very easy to check TN 10th Result March 2019 on mobile app. Just you need to enter your register number and date birth and click submit button. You can check subject wise marks and total score. You can also view pass or fail status. Without date of birth, students cannot about check your exam results. 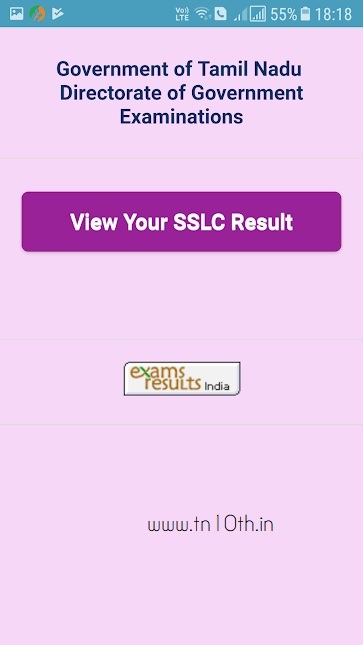 Even in mobile apps, Tamilnadu SSLC Result only available from 29-04-2019 at 9:30 am. This initiative is to reduce stress at that time of searching for results online. If you have smartphone, you can immediately download and install it on your device from today. You just need to enter the correct register number and date of birth and click on the submit button. If you had forgotten your register no, you might need to refer your hall ticket that was given to your before the 10th public exam.